Emergency Dentist in Fort Lauderdale Helps Dental Pain ASAP! Have you woken up laying on your side and immediately felt a throbbing pain in your jaw? Maybe every time you lay on your side, you have an unbearable, persistent pain in your mouth. If this is the case, you may be experiencing a dental emergency! This positional tooth pain could be from a deeply embedded tooth infection. 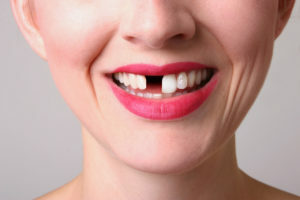 Anytime you experience tooth pain, you should consider it a dental emergency and know exactly what to do until you can visit your emergency dentist in Fort Lauderdale. For that reason, your dentist has crafted this quick guide for you to stay prepared. The first and probably most important thing to remember is to never panic. Staying calm increases your chances of remembering a critical step in saving your smile. Remember, if you or one of your family members experience a dental emergency, don’t hesitate to go to your nearest emergency room if the injury calls for it. As your emergency dentist, it’s important for our office to do our best in getting you into the office the same day your emergency occurs. If there’s bleeding, apply pressure until the bleeding stops along with a cold compress in 10-15-minute intervals to reduce swelling and relieve pain. There are various products available in the dental aisle of your local drugstore. Toothache gum—soften the gum in your mouth and place it where the missing restoration was. If you can’t use toothache gum, a piece of sugar free gum will do the trick. Coat your tooth with a fluoridated toothpaste and cover the area with sugar free gum. Use dental floss to floss around the aching tooth, try to remove any lodged debris or food. Use a natural anti-inflammatory like clove oil or a hot chamomile tea bag to reduce swelling. Always be prepared for a dental emergency by adding our contact information in your cell phone. We will do our best to see you the same day! At Mingel Dental, patients can rest assured that Dr. Marc Mingel and the rest of our team are here for them—even in tough times. When faced with a dental emergency, Dr. Mingel acts promptly and understands that each of his actions can help save your smile. If need advice about what to do, feel free to call our office. Comments Off on Emergency Dentist in Fort Lauderdale Helps Dental Pain ASAP!